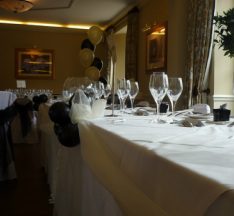 Party Balloons For All Occasions can 'dress' the table for you using balloons, tulle and/or ribbons. This enhances the table as a lovely feature and is very popular for the 'top table' at a wedding or a buffet/cake table at other similar functions. This arrangement would incorporate air-filled latex balloons, five inches in size which would complement the larger helium latex balloons used in the table displays. 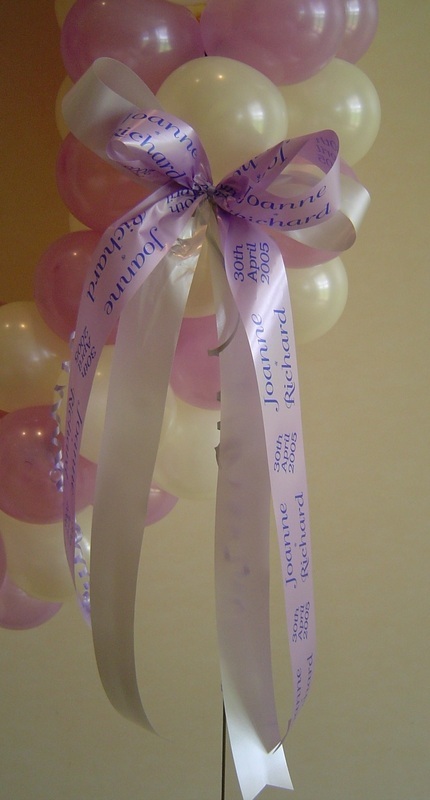 printing onto ribbons personalises the occasion and this one has been made into a bow!